Whether at home on the computer, on the go with a smart phone or tablet. Order your photos the simple and easy way from where ever you are. 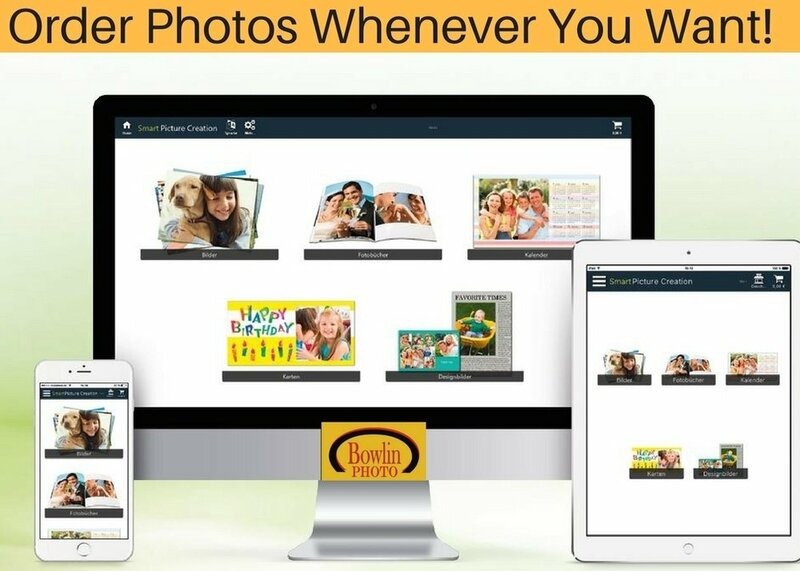 With the Free Smart Picture Creation from bowlin photo you can easily order photos,photo books, greeting cards and calendars. The free photo app is suitable for Android and Apple smartphones and tablets, Windows and Mac. The app is the same as our kiosk stations in our store and offers the same services. All the information provided will be kept strictly confidential and used for contact purposes only. If you require assistance feel free to call us at 250-656-5443 Thank you for your order. We look forward to seeing you and hearing your comments on our new service. For your smartphone or tablet, download the "Smart Picture Creation" app from your app store.